What to do when cross-functional collaborators can’t get along. A: This is a really common situation in organizations and on project teams. On a software project, you may have tension between the features desired by users and the timeline and budget available to developers. In an insurance company, you may have a conflict between the prices set by underwriters and those desired by sales. These are healthy tensions that reflect the legitimate competing demands that must be met to have a successful outcome. Unfortunately, there are some factors that can make this hard to navigate. For example, many people fear disagreement. In this case, they may back off too quickly. Some cultures reinforce this. Or they may dig in too hard, taking a zero-sum stance, when the right decision is somewhere in the middle. People also have different personality types. So, someone who tends to get laser focused on one option may get frustrated by a free thinker who sees many possibilities. Both are needed, but can have a hard time getting along. Start by talking with each person individually to get their perspectives on the dynamic. In these conversations, coach them about your vision for constructive disagreement and help them determine where they need to gain new skills or fine tune their own behavior. Next, set up some meetings to work through points of known disagreement for just the three of you. 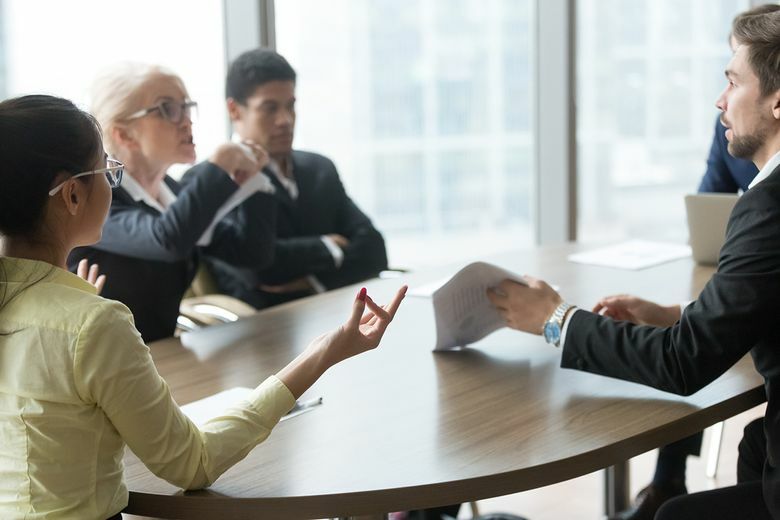 These interactions may have been uncomfortable for other team members, as unmanaged disagreement can feel awkward to witness, so this step will minimize further team stress. While you are at it, consider some wider training on conflict management and negotiation, so that as these team members bring forward their new skills, other colleagues are on the same page. This behavior won’t change overnight. People take time to overcome habits, especially when it’s rooted in a default stress reaction. So, you will need to be prepared to jump in if disagreements degenerate into resistance or rancor. In these cases, calling it out (with humor, if possible) can work. Agree on a parking lot approach for keeping topics visible without a need for immediate action. Distraction can help; try a quick five-minute break which allows emotion to diffuse. You can then bring the topic back up reframing it around the business problem you’re addressing. Finally, model the desired behavior. Don’t just acquiesce to things if you disagree, but demonstrate openness to different alternatives. Become an advocate for finding a third way that results in a better outcome and a win for all concerned.